« Alabama has ancient cypress forest — 60 feet underwater! 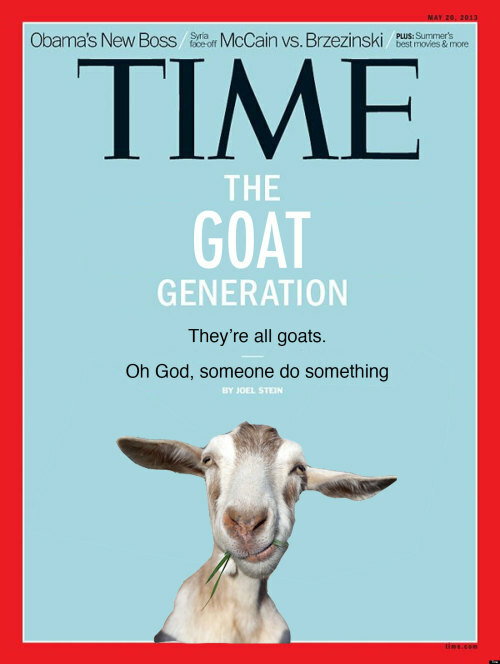 Every 20 years or so TIME publishes an issue bewailing the current generation and predicting the end of civilization as we know it once the young folks get old enough to run things. Seriously? This trope has been around since Plato (see quote below) and for sure predates him. For your edification, here’s what Plato (I knew Plato. Mr Stein, and you, sir, are no Plato!) said about the young people of his day. Nice to see TIME is keeping current with ancient Greek philosophers. Real Pulitzer material, that. A guy in his 50s who remembers what people said about the ’60s Generation.